The Marion County Hospital District is a governmental agency created by the Florida Legislature in 1965 to oversee healthcare for the residents of Marion County, Florida. who are appointed to four year terms by the Marion County Board of County Commissioners. 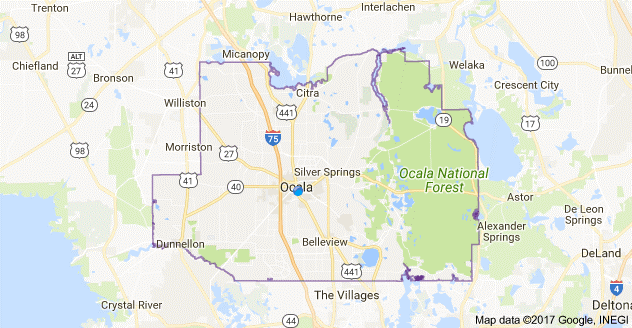 The Hospital District owns Munroe Regional Medical Center in Ocala, Florida. In 2014, the Hospital District entered into a 40-year operating lease of Munroe Regional Medical Center and its affiliated entities, with a subsidiary of Community Health Systems, Inc., a NYSE listed Hospital Corporation based in Franklin, Tennessee. Community Health Systems operates 209 hospitals throughout the United States. The Hospital District’s Executive Director, Curt Bromund, administers the Hospital District’s affairs, including the wind-down of Munroe Regional Health System, Inc., a 501(c)(3), tax exempt, hospital corporation which formerly operated Munroe Regional Medical Center. The wind-down of MRHS, Inc. is expected to take several years to complete. The Hospital District is responsible for prudently investing the lease proceeds on behalf of the citizens of Marion County, Florida. The Hospital District plans to use a portion of the earning from the lease proceeds to fund public health projects dedicated to improving the health and well-being of Marion County residents. WE WILL be committed to the highest level of ethical standards in discharging our public responsibilities. WE WILL accomplish our mission by prudently managing the resources entrusted to us by the public we serve. WE WILL strive to maintain quality of care in all that we do for the public. WE WILL conduct our business in an open, accountable and legal manner to ensure public trust and to encourage public participation.